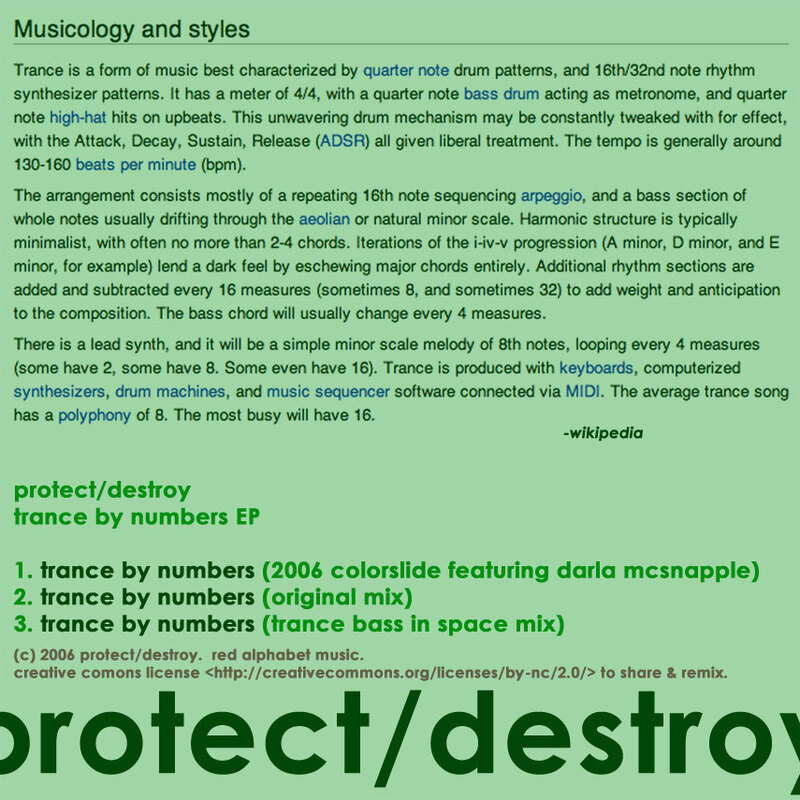 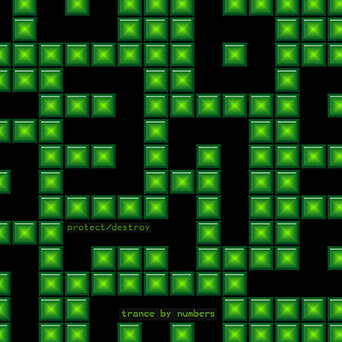 Inspired by a recipe on wikipedia, Protect/Destroy present trance music at 145 BPM. It's that simple, right? 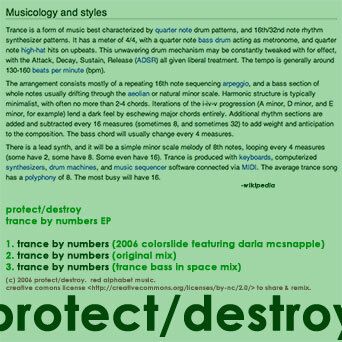 All tracks have been released under a Creative Commons license allowing it to be freely re-distributed and remixed as long as credit is given to Protect/Destroy and it is not used for commerical purposes.